Green & Black’s organic chocolate products has a printable coupon available on their site. Go here, fill out the simple form and you’ll be able to access a $1 off any Green & Black’s product coupon! 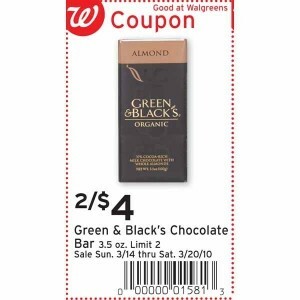 To make this coupon go further, pair it with the Walgreens printable bonus Green & Black’s coupon available here. 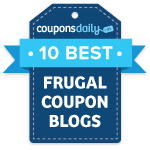 This coupon will make the 3.5 oz bars of Chocolate just $2. You can stack with the $1/1 coupon from above to get a bar for just $1!